No time wasted: A wonderful shot of Monmartre through the clock at the Musee D’Orsay I snapped in Paris in the springtime. Perfect weather and a perfect day with friends. Life is a wonderful opportunity. 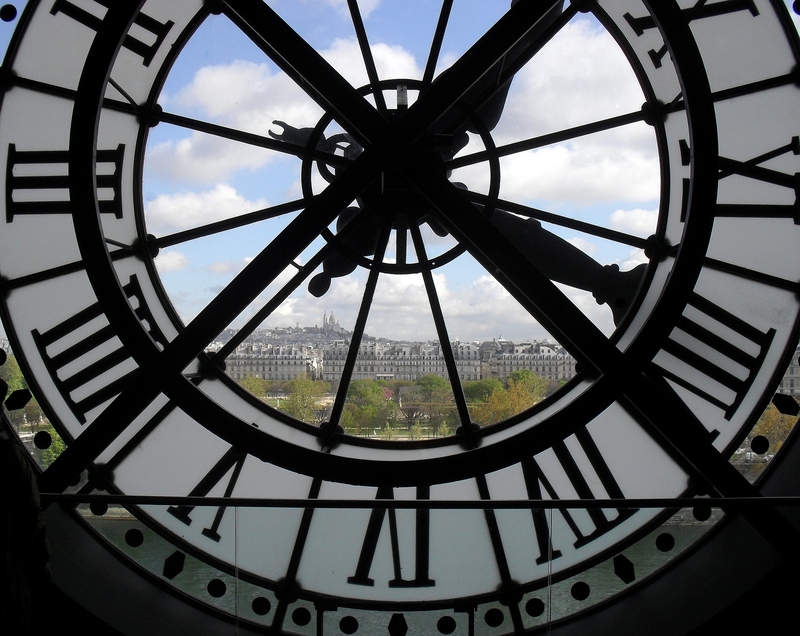 To look out from behind the clock face in the Musee D’Orsay on a marvelous spring day in Paris is something not to be missed. After seeing the marvels of the newly redecorated museum we looked out to Paris through one of the spectacular clock faces. Life is so unpredictable and precious. If a chance to see something beautiful comes your way, grab it. I had to wait a while to get this clear shot through the clock but it was not time wasted. With a view out to Montmartre, it was a pleasure to wait.